The year 2017 marks the 30th Anniversary of the Montreal Protocol on “International Day for the Preservation of the Ozone Layer” with a theme, “Caring for all life under the Sun”. 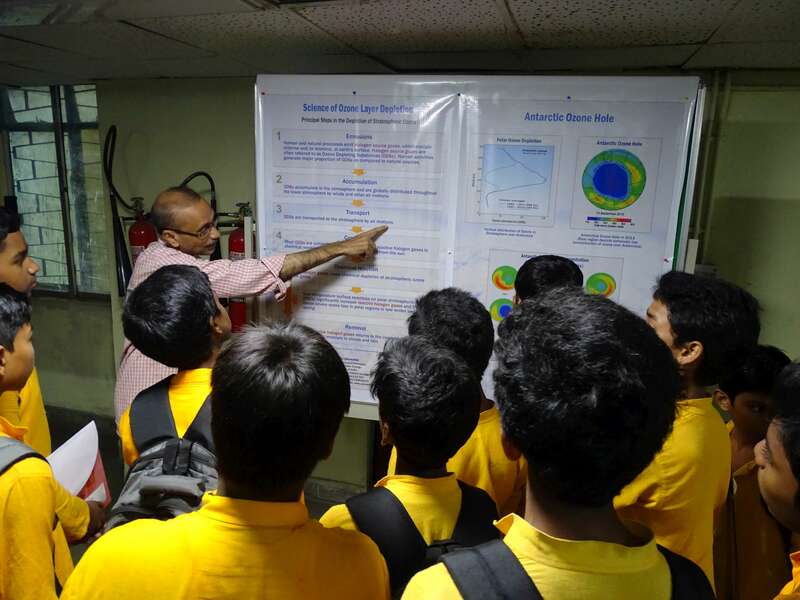 The Botanical Survey of India (BSI), Kolkata/Howrah with BSI ENVIS centre celebrated the World Ozone Day on 16th September, 2017 by inviting a group of 36 students studying in Class IX and X along with teachers of Vivekananda Shiksha Niketan School of Basanti block in South 24 Parganas district, West Bengal. 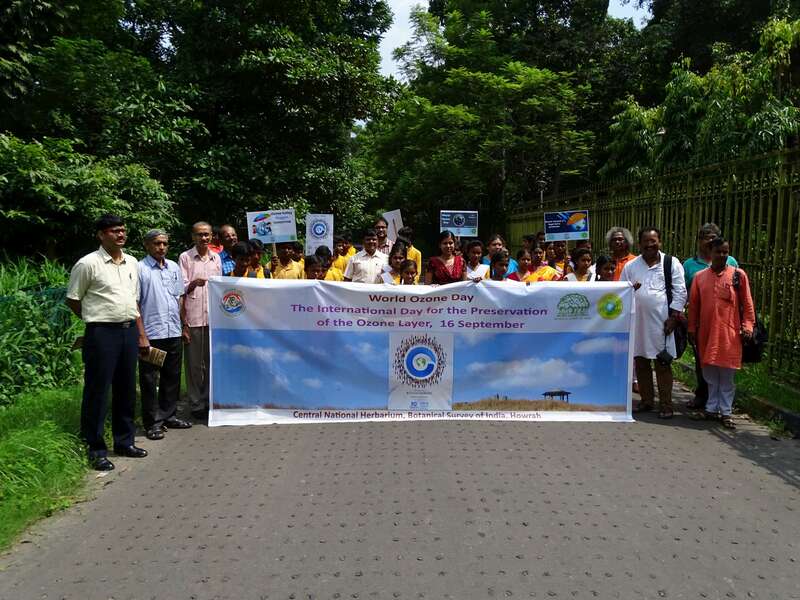 The programme was started with the procession of students, teachers, scientific officials of BSI and ENVIS team by holding the placards at AJCB Indian Botanical Garden, BSI, Howrah. In the Central National Herbarium (CNH), Howrah the programme was started with an inaugural song by the students of Vivekananda Shiksha Niketan School. Welcome address and a brief introduction about World Ozone Day was given by Dr. Subir Bandyopadhyay, Scientist ‘B’ in Bengali. 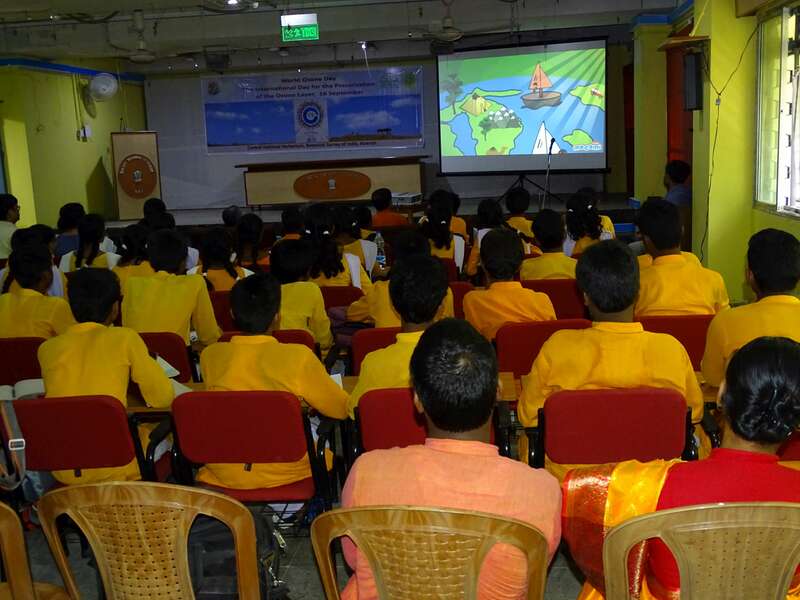 A video film on Ozone Layer was shown to the students with brief explanation in Bengali by Dr. Avishek Bhattacharjee, Scientist ‘B’, which is followed by a Power Point Presentation on “Fundamentals of Ozone” in Bengali by Dr. Monalisa Dey, Scientist ‘B’. After these, students were taken to the displayed theme poster section comprising “Ozone heroes campaign”, “Stratospheric Ozone Layer”, Science of Ozone Layer”, Antarctic Ozone Hole”, “International Action for Protection of Ozone Layer”, Major uses of Ozone Depletion substances”, “How can you help protect the Ozone Layer”, Implementation of Montreal Protocol:India’s Achievements and Achievements of Montreal Protocol” were explained to the students in Bengali in group wise by the Scientific officials of BSI. The programme was concluded with interaction with students, teachers and scientists and discussion among the participants. banner at AJCB Indian Botanical Garden, BSI, Howrah.